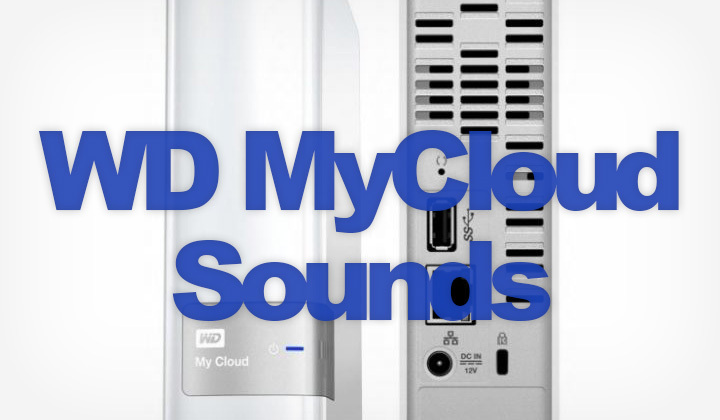 This is my experience with weird clicking sounds on a recently purchased WD My Cloud with 4TB of hard drive space, purchased used on Amazon. After obtaining the device, I plugged it in and immediately noticed that it was emitting a very suttle clicking sound at constant intervals. So I put my hand on it and could feel the machine vibrating in very short spikes, it felt as if the disks read-and-write head was stuck in a loop or something. Somethings was wrong..
My first thoughts were to return the device, but I decided to do some tests. To do some device maintenance, I installed “WD Quick View” on my Mac. Took me a second to figure out that there is no icon for it the applications folder, instead a new icon had appeared on the top Mac OS X menu bar. From the icon’s menu I selected the “dashboard” option which opens up in your default browser. From there I navigated to Settings and Utilities. There you have the option to Shutdown or Reboot the device, or you can do a scan to check the integrity of the drive. I decided to try a “Reboot” and after My Cloud had started again the problem was gone! Now any subtle sounds, or vibrations were only the normal type of hard disk sounds without constantly clicks and loops. In fact when it’s not doing anything, it’s very quiet. So I concluded that if you are getting any odd noises, or vibrations, there is indeed good reason to worry. Next up was to scan the disk to see if the drive was intact. Seems that for Mac users the only way is using the “System Diagnostics” option in the WD Quick View dashboard. For Windows users there is an additional program called “Data Lifeguard Diagnostic” which I have never tried but looks like it could be a better option, with different kinds of tests and more informative test results. So I ran the diagnostics test with the “Full Test” option, which took a bit more than 10 hours to complete. 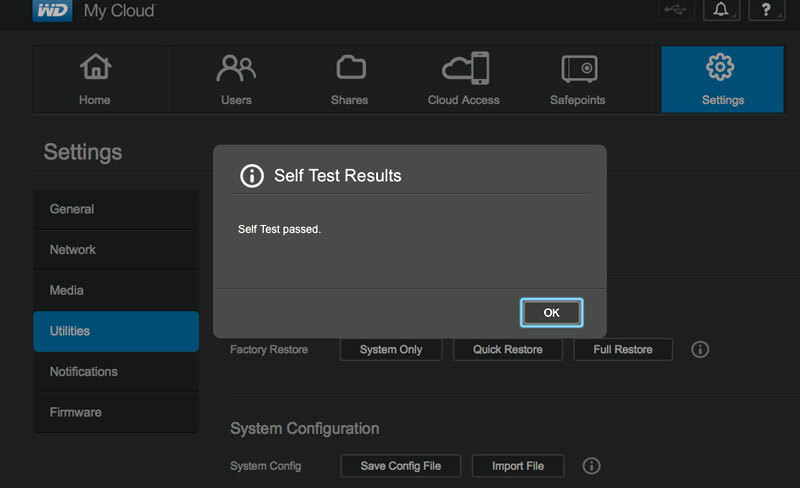 All I got was this “Self Test passed” screen above. I am running the device happily ever since. Fingers crossed. Will add to here if situation changes. So? Where is the solution? Running the full test solved this for me. And Windows users have the Data Lifeguard Diagnostic to try as well.